The Renaissance and the Scientific Revolution constituted what was, perhaps, the most significant period of discovery and growth of the sciences in the whole of history. This period preceded the Enlightenment. The Renaissance and Scientific Revolution were responsible for the introduction of ideas such as a heliocentric solar system and laws of planetary motion. Many cite this era as the period during which modern science truly came to fruition, noting Galileo Galilei as the “father of modern science.” This post will cover the contributions of three highly important scientists from the era of the Renaissance and the Scientific Revolution: Nicolaus Copernicus, Galileo Galilei, and Johannes Kepler. 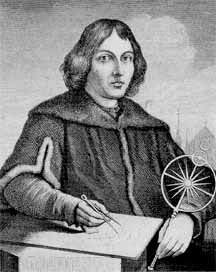 Nicolaus Copernicus (1473-1543) was a Renaissance polymath responsible for what some have called the “Copernican Revolution.” One of the most important contributions of Copernicus was to the field of astronomy. Copernicus placed the sun at the center of the universe, rather than the earth. The previous system, the Ptolemaic system, was geocentric (with the Earth at the center of the universe). In 1543, in his On the Revolutions of the Celestial Spheres he published his theory (which he had formulated much earlier). While he still had the planets moving in patterns of circles rather than ellipses, he postulated that these circles had no one center. He said that the center of the Earth is not the center of the universe, but is the center of gravity and the lunar sphere. He stated that Earth is one of seven planets in the solar system around the Sun, which is stationary. He said that the Earth’s motions include rotation, revolution, and annual tilting of the axis. He concurred with the scientists before him that the distance from the Earth to the Sun is negligible compared to the distance from the Earth to the stars. Tycho Brahe was one of Copernicus’s successors; however, he developed the Tychonic System, an essentially geocentric model which included some mathematical foundations of heliocentric models. The heliocentric model of Copernicus. 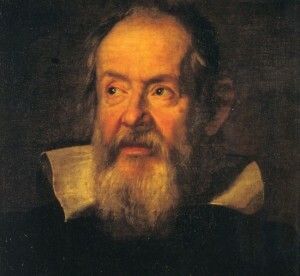 Galileo Galilei (1564-1642) built on the foundations of Copernicus’s work. Also a firm believer in the heliocentric model, Galileo was placed under house arrest for much of his life for his beliefs after standing trial in Rome. He was called a heretic for believing that the Sun, not the Earth, was the motionless center of the universe. In recent years the Church has acknowledged that its handling of the Galileo affair was regrettable. In 1610, Galileo published The Starry Messenger, which reported his discoveries of four of Jupiter’s moons, the roughness of the Moon’s surface, stars invisible to the naked eye, and differences between the appearances of planets and fixed stars. He also published observations on the full set of phases of Venus, and wrote regarding the tides. Galileo’s theory was that tides were caused by the sloshing back and forth of water in the seas at a point on Earth’s surface which speeded up at certain times of day due to the Earth’s rotation. However, this is incorrect (as the tides are caused by the moon). Galileo also importantly put forth the basic principle of relativity (the laws of physics are the same in any system that is moving at a constant speed in a straight line). Galileo was one of the first to observe a sunspot and not mistakenly attribute it to a transit of Mercury. Galileo also demonstrated that falling bodies of similar material but different masses have similar times of descent. In essence, descent time is independent of mass. Galileo also showed that there are as many perfect squares as whole numbers, even though most numbers are not perfect squares; since there are squares and non-squares, and not all numbers are squares, there must be fewer squares than non-square numbers. However, for every number there is a square. Therefore, there is actually a 1:1 ratio of non-squares to squares. Johannes Kepler (1571-1630) is responsible for creating Kepler’s laws of planetary motion. These laws include that the orbit of every planet is an ellipse with the Sun at one of the two foci, that a line joining a planet and the Sun sweeps out equal areas during equal intervals of time, and that the square of the orbital period of a planet is directly proportional to the cube of a semi-major axis of its orbit. 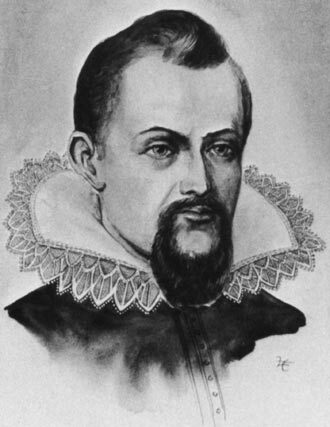 Kepler was one of the first to incorporate the field of physics and the field of astronomy. This caused some controversy, however his ideas became more widely read and accepted after his death. Once Newton derived Kepler’s laws from a theory of universal gravitation, they became part of the theoretical canon of the Scientific Revolution. In the next and final post, the contributions of Isaac Newton will be considered. Newton, arguably one of the greatest physicists of all time, lived during the late Renaissance and Scientific Revolution. Newton was one of the precursors to the Enlightenment who sparked the ensuing period of incredible intellectual growth. This entry was posted in Uncategorized by tbcaldwe. Bookmark the permalink.